These sights brings the convenience, reliability and perfect sight picture of Aristocrat’s PPC revolver ribs to the superbly accurate match autoloaders that are being produced by many gunmakers today. 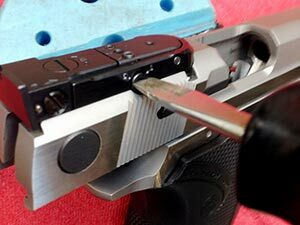 All Sight adjustments are made on the rear sight. Range selection is made simple and reliable by rotation of a 3-position cam. 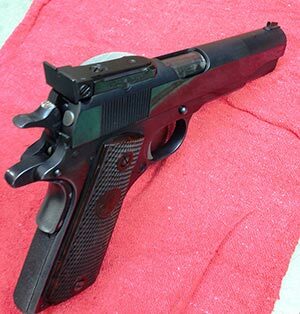 Also available for 5 inch 1911 models the Model Auto-5. Precision sight ribs machined from solid bar stock. All wear points are hardened for long service life. Designed specifically for PPC competition, the precise user pre-setable adjustmaents are for 7, 25 and 50 yards. The click elevation adjustments allow for range and ammunition variables. Undercut front and rear sights present the best sight ever. 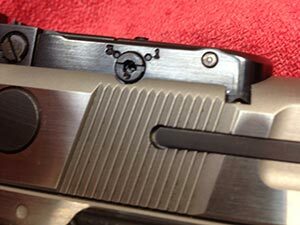 We now offer installation for the TS-45 Rear Sight on select pistols. Call or email with your model pistol prior to shipping. Do not ship the gun we only need the slide and we do not do accurizing. 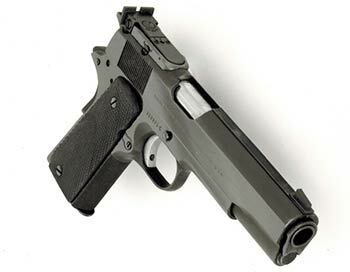 The Auto-6 model is designed for mounting on 6-inch 1911 models. Mounting on other types of pistols will be very limited. 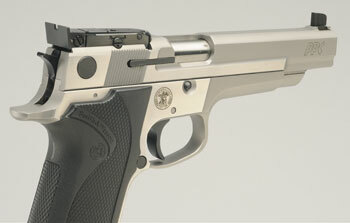 The TS-45 and RS-45 models are most often mounted on 1911 variations and they are factory available on the S&W PPC auto. 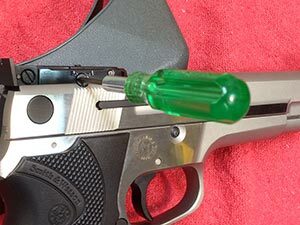 For suitability on other pistols, please consult with your gunsmith. The new cam design allows the use of a 3/32 hex key wrench or a standard straight screw driver slot. Both are combined into a new convenient design. This Duty/Tactical style* sight has a wide variety of uses. It incorporates elevation screw adjustment with Aristocrat’s quality sighting features. *Sights shown are not recommended or intended for actual duty or tactical use!